«Humanitarians of the South of Russia» - a journal aimed at consolidating the efforts of scientists in their main attempt to gain better understanding of social processes that take place in the south of Russia, their second interest being the events and developments in the Russian Federation and in the world that are not directly related to the life in the south of Russia. The mission of the journal is to discover the nature of social processes related to the RF, to the south of Russia and to each particular region in the south of Russia. The main principles of the journal are the following: the principle of humanism and the principle of system consistency and interdependence of the regions involved into global socio-cultural integration processes. Number of issues: 4 issues per a year / 1 issue per quarter. Research areas: social sciences, philosophy of science, political science, economics, history of science. Under this heading the issues of social development are considered, their socio-philosophical understanding through the use of new views and methods is provided. 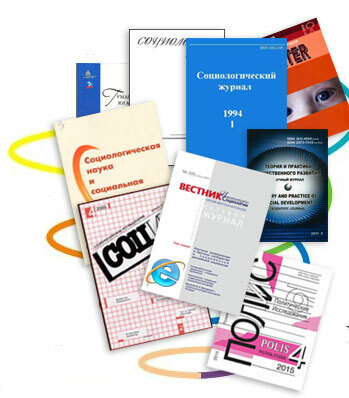 The section is devoted to sociological and political sciences, to the economic analysis of modern Russian society. The issues of civil society, ideology, politics, national security, etc. are considered. Under this heading analytical articles that deal with social, economic and political processes in the south of Russia are published. Authors consider general political processes that affect the society, culture and economy of the south of Russia. In this section papers on legal, economic and sociological analysis of higher education are published. Particular emphasis is given to the “view from inside”, i.e. to the opinions of university teachers and students concerning the quality and structure of education in the RF. The section includes the articles with their main focus on the processes of transformation of national cultures under the influence of globalization factors. Socio-economic development of the south of Russia, and the topical issues of economic theory, global economy and management are considered in the articles under this heading. In this section, the articles that cover most significant events and developments in the history of the south of Russia and of the adjacent territories are published. The important problems of modern economic development of both the global and regional level are discoursed in this section. Topical issues of social control and modern management are published in this section. Under this heading the issues of methodology of socio-humanitarian knowledge are considered. New ways of analyzing and understanding social reality are discussed. The articles under the topic introduce the reader into regional educational and research centers, into the history of their establishment and development, into the activities of leading scientists in humanities and into the prospects for university cooperation. Under this heading the biographies of prominent scholars from the south of Russia are presented. By including this category, the editorial board re-creates the tradition of preserving names, ideas and schools of thought. The papers by authors working towards their doctoral degree are eagerly published under this heading. In this section the results of scientific conferences at various levels as well as information on other scientific events are presented. This section contains the reviews of scientific and educational publications. Under this heading the abstracts of research papers sent to the editor are published. Federal State Autonomous Educational Institution of Higher Professional Education «Southern Federal University». Volkov Yury Grigor'evich - Doctor of Philosophical Science, Professor, the Honored Worker of Science of the Russian Federation. Editorial Office phone: (863) 264-34-66.